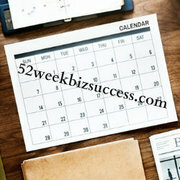 52weekBIZsuccess is for the entrepreneur looking to become serious about starting any type of business or maximizing earning potential of an existing business. Entrepreneurship is never similar to a one night stand. Your business takes time. Our experts have the blueprint to create the success you desire. No more excuses! You will know the way if committed!